Could 2018 be the year of the chatbot? Since Facebook announced they were opening their platform to chatbots in 2016, there’s been a proliferation of companies looking to provide services through the site with varying degrees of success. An immediate hype cycle followed proclaiming how chatbots would change the world before this had to be rowed back. Aspirations ran far ahead of the capabilities of natural language processing (NLP), and instead of presenting users with broad functionalities that were true to the conversational interface, most chatbots were little more than click-button menus and, if lucky, some key-word driven answers. Despite this first failing, many believe there is value in chatbots as they allow businesses to go to where the customer is and already spends lots of time; Whatsapp and Facebook have a combined 2.8 billion users who send over 100 billion messages a day! Brands have sought to use chatbots to go to where the customer is rather than forcing them to an app or website, and reinforcing this, chatbots also present a User Interface that doesn’t require the customer to learn a website or app design; conversation is the most intuitive form of interaction. 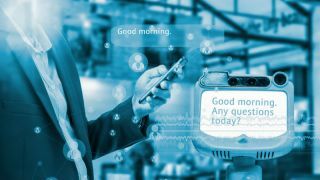 A recent study by computer technology corporation Oracle showed that 8 in 10 companies are planning to adopt chatbots by 2020, and Chatbots Magazine claimed 2018 to be the ‘year of the chatbot’. With billions of eyeballs to compete over within these messaging interfaces, and NLP technologies having advanced over the last two years, potentially the chatbot phenomenon will come to fruition in 2018. So how do brands get chatbots right? Can chatbots truly relay the nuances of human conversations? Can they be broad enough, yet detailed enough, to provide an experience that surpasses traditional interfaces and becomes a customer’s first port of call? These are questions that we at Kindred Futures asked when teaming up with tech start-up Artificial Solutions to develop our very own chatbot. At Kindred Futures we seek out pioneering start-ups to explore the future of gambling and question where the industry is heading in 2, 5 or 10 years’ time. Central to this, are new forms of customer experience, and although the gambling industry has seen some prior activity with chatbots, due to less advanced NLP most have had limited conversational ability and fallen back on click-button menu structures. We felt that there was an opportunity to provide an experience that is true to the interface and provides real value for punters. Our solution? A revolutionary new chatbot, developed alongside Artificial Solutions that uses their powerful Natural Language technology to bypass traditional key-word driven clinical responses to understand the nuances of everyday conversation alongside the specific gambling lexicon. Our aim was to enable customers to talk and engage with the chatbot as they would any other contact, to result in more meaningful interactions and true value for the customer. The power of the NLP means that not only can the chatbot understand, provide odds and place bets in thousands of markets, but it can provide information on the fixture, help the customer with hundreds of account related questions, and escalate to a Customer Support agent if needed. We believe that to deliver positive experiences and develop customer behaviours, a holistic solution is needed – if you can bet on a game, why not ask when it is, what the rules of the bet type are, and ask about issues you may have with your account? According to a study by LivePerson, 33% of consumers have had a positive perception of chatbots, in comparison to 19% of participants that held a negative view. The remaining 48% were indifferent – as long as their issue was resolved. Although these stats seem positive, our aim was to develop a chatbot that had potential for a range of applications, rather than just a one-off. By encouraging consumers to use our chatbot for more than just a single answer to a query, we can begin to build new customer behaviours and the chatbot become a key part of their user journey. Following the launch of our chatbot, we were able to understand how customers use it, the conversations they have, the bets they ask for, and the functionalities they want. This first release is very much the initial stage that has allowed us to gain a deeper understanding of our audience, and we can now effectively plan the development of future releases - expansion into more sports, more bet types, more languages and more support functionalities are all within the roadmap. Most importantly though, these insights enable us to understand how natural language technology will impact Kindred over the coming years and by making sure we always remain consumer-centric, how we can deliver solutions that excite our audience. One future use case is the potential for transferring the current chatbot format to voice interactions. With the explosion in smart speakers and virtual assistants, the automatic speech recognition (ASR) that translates voice to text has exponentially improved – not only in depth of dictionary and recognised words, but importantly the context and intent within each statement. This is an area of particular interest to us, as it opens up exciting possibilities for future; imagine watching a football game at home on your sofa and being able to shout out “Alexa, stick a tenner on Spurs to score in the next 5 minutes”. This is an exciting future that we see potentially transforming the customer experience and delivering truly frictionless interaction with our services. So, what does this digitalised future hold for brands and the in particular the gambling industry? Uptake of technologies such as NLP will undoubtedly continue as companies look to provide faster, innovative means of interacting with their services. Not all benefits are yet realised, but the utility of a frictionless, personalised experience is clear – by delivering this first version of the chatbot to customers, we want to position Kindred at the forefront of this technological revolution and to enable a future whereby customers can interact with Kindred services through whichever channel they wish.